There is something elemental about the mountains which elevate most of us into another world. Seeing the mighty Himalayas up and close doesn’t always require trekking for days or driving through dangerous terrain. Visit Mukteshwar, a sleepy town in West Uttarakhand, that is less than sixty kilometres from the nearest railway station and get stunning unmediated views of the majestic Himalayan range; including the second highest peak of India – Nanda Devi. You need to visit this place just for the views. Surrounded by lush vegetation of coniferous and deciduous forests, Mukteshwar is perched high up on the Kumaon Hills at an altitude of 7500 ft. above sea level. With less than 300 families residing in this obscure hill station, there is hardly any traffic, even in the market area. Layers of snow on the terraced farm fields look like decorated white sheets on the mountain slopes. The horizon of Mukteshwar is also truly stunning. The magnificent Nanda Devi range and the Panchahuli group of snow covered peaks present themselves at full glory. A dream destination for photographers, the small town also witnesses glorious twilights with crimson and maroon streaks spattered across the evening sky. 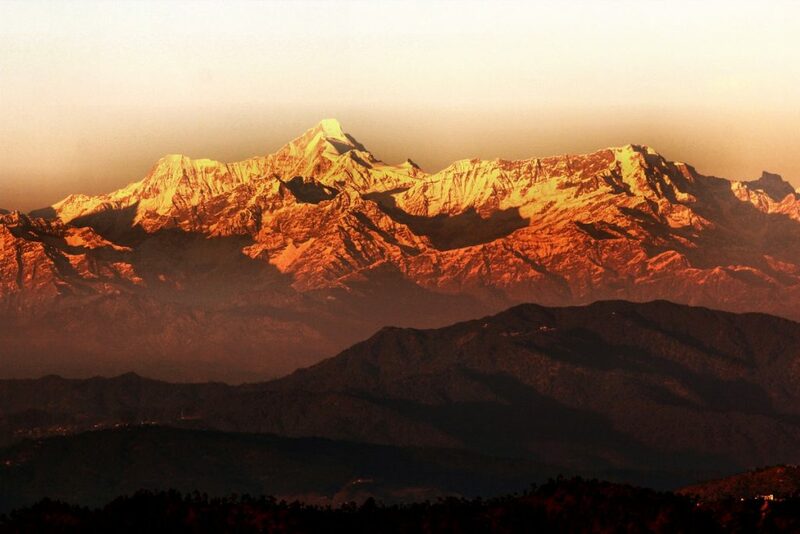 Nanda Devi, Nanda Khat, Nanda Kot, Hathi Parvat, Nandaghunti, Trishul, Rajrambha, and Panchachuli are just some of the major peaks visible from Mukteshwar. Tucked amidst pine, oak and deodar trees, this 350-year-old temple is a simple structure located at the highest point of Mukteshwar. A wide yet steep stone pathway from the road leads to the temple. Mukteshwar derived its name from this temple that is dedicated to the Hindu deity, Lord Shiva. The temple compound is clean, calm and serene. 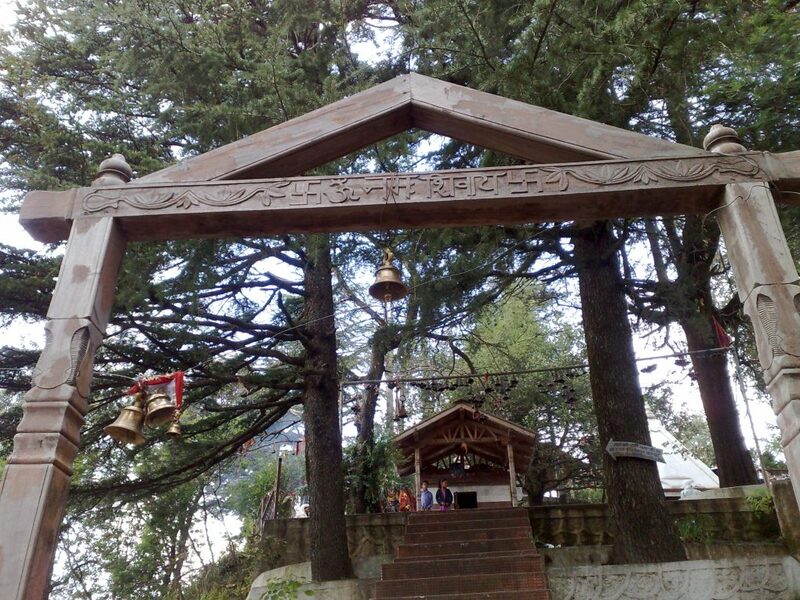 It is not commercialized like many other temples in other famous hill stations. A short trek on a winding dirt road from the Shiva Temple takes you to this unique place where bizarrely angled rocks jut out of the mountain face in varied shapes and sizes. 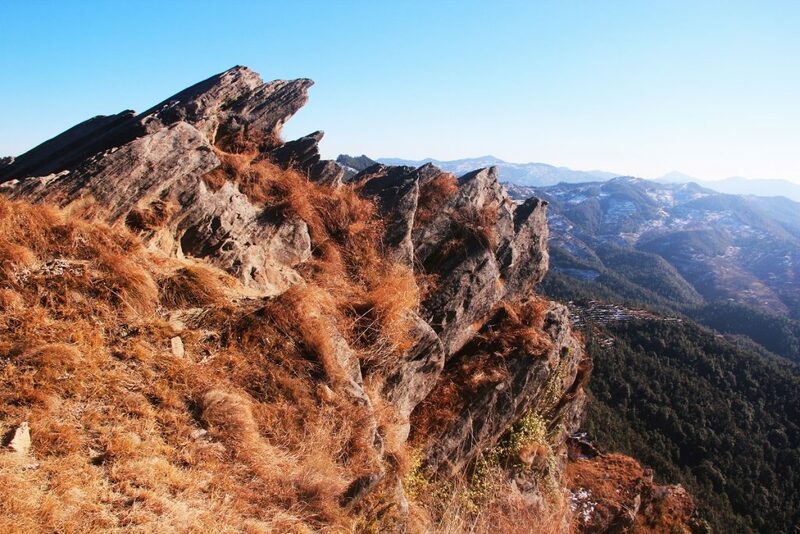 It is pertinent to note that this is the only mountain in the entire Kumaon region where such formations are seen. 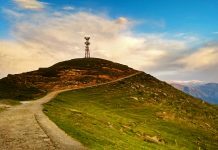 The mountaintop provides a 270-degree view of the surrounding Himalayan ranges and the adjoining Kumaon valley which makes it a must visit. The clusters of hanging rocky cliffs make it an ideal location for adventure sports like rock climbing, zip-lining, paragliding, and rappelling. Bird enthusiasts have the opportunity to spot a few raptors like the elusive Himalayan Eagle. The Kumaon Grameen Udyog (KGU) sells a plethora of organic, homegrown, hand-woven local products under the brand name of Kilmora. 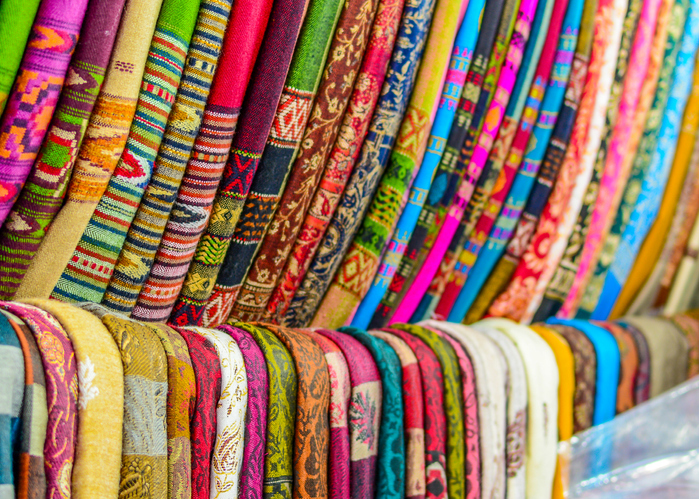 Hand knitted textiles (shawls, stoles, scarves, mufflers, yardage), apricot skin care products (apricot scrub and apricot oil), organically grown culinary herbs (basil, chives, lemon grass, oregano, parsley, thyme etc. 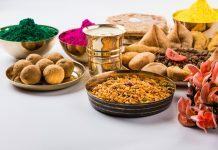 ), cereals and spices (black soybean, white soybean, rajma, milled corn, millet, turmeric and chillies), and organic jams / chutneys (plum, apple, kiwi, peach) are some of the flagship products of Kilmora. KGU boasts about the products being naturally grown bereft of pesticides or any other chemical input. 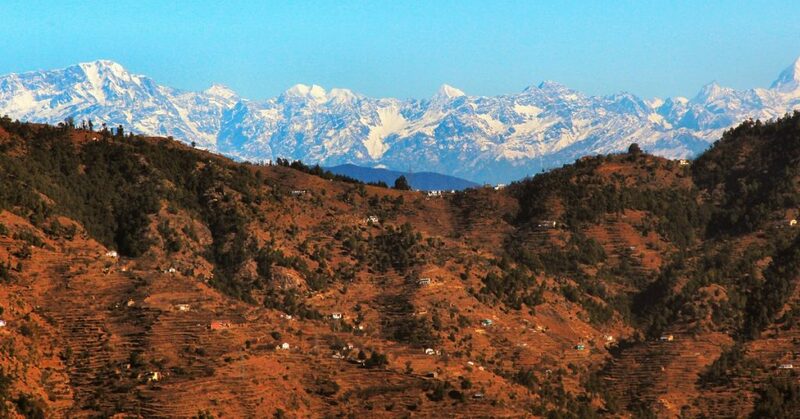 Just 12 km from Mukteshwar lies the sleepy hamlet of Ramgarh. Dotted with a few British era inspection bungalows and a few hotels, Ramgarh is a small town surrounded by gigantic hilly terrain. 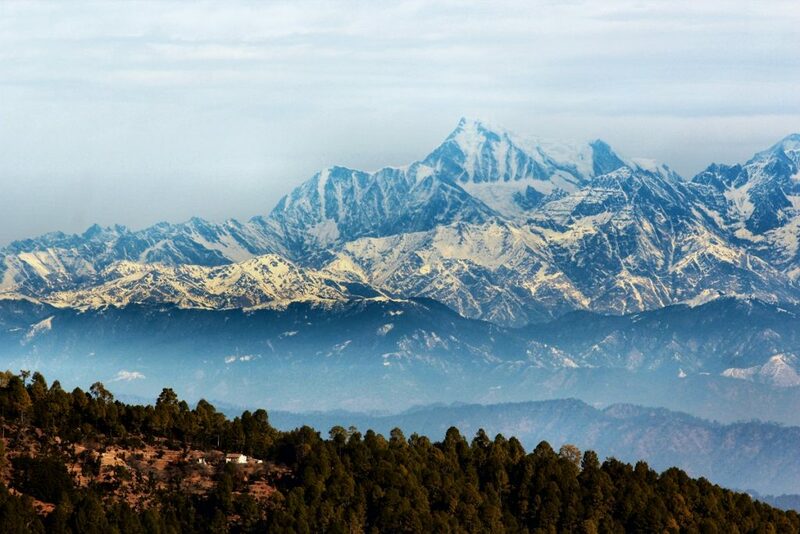 It provides a 360-degree view of the Kumaon Hills with spectacular views of the mighty Himalayas in the distance. If you visit this place in summers you will find various fruit orchards of apricot, plum, peach, and apples. 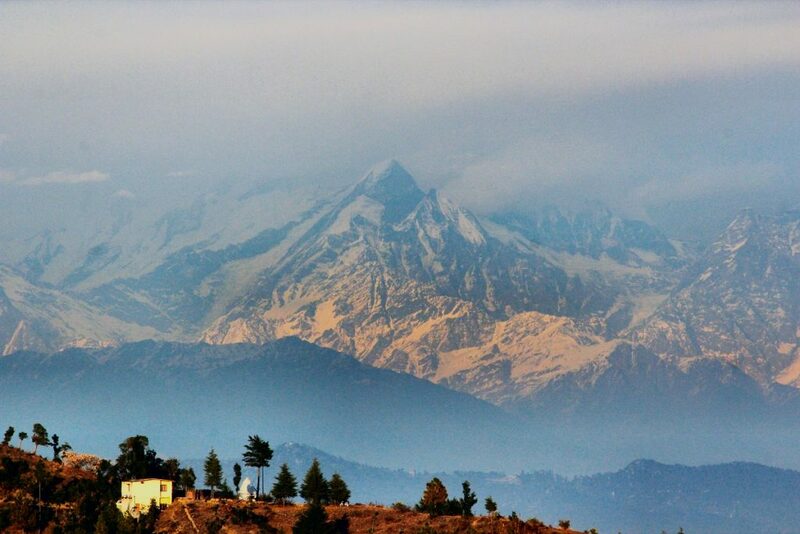 Ramgarh is often known as the ‘Fruit Bowl of Kumaon’. 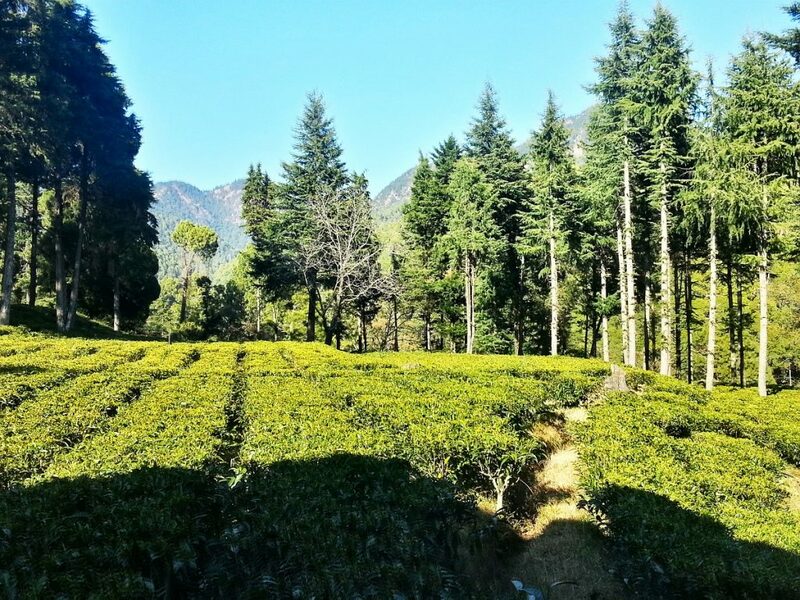 One of the few tea plantations of the state is found in Shyamkhet, Ghorakhal. A small tea factory and a retail shop are located at the entrance. However, Ghorakhal is more famous for having one of the most revered temples in Uttarakhand – Golu Devata. Situated on top of a small hillock it is thronged by visitors year round. If you are not too religiously inclined, visit the place to see the temple bells of myriad shapes and sizes. The entire complex is filled with bells. 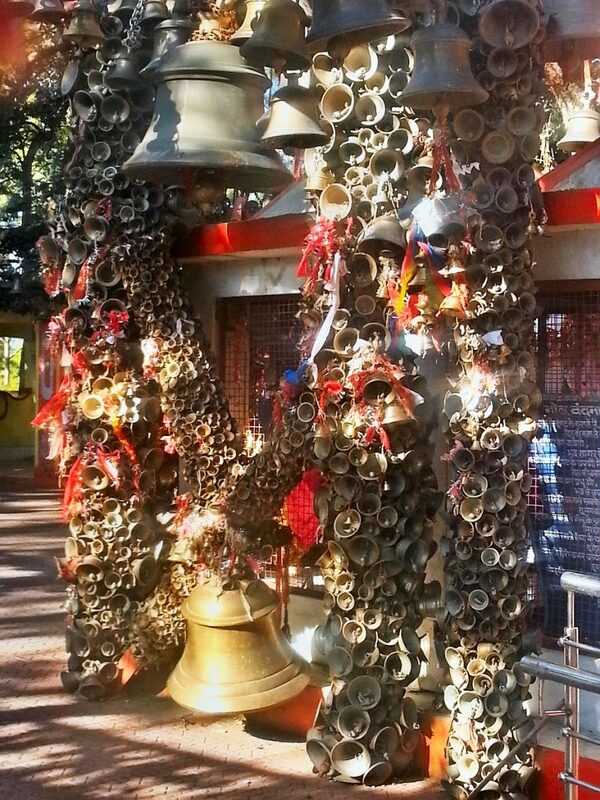 The priest claims that there are more than a thousand bells in the temple and it is one of its kinds in India. Life in the mountains is fascinating. The hills feel like guarding sentinels looking over you all the time. A feeling of bonhomie emerges even with a few days of stay. When it’s time to return to the daily grind, you will wonder which life is real, the one you are going to or the one you are leaving behind. December – It is the ideal month to enjoy the snowfall season. The months of Jan – March should be avoided due to the possibility of roadblocks & power outage.